A brief on industry news and announcements of the past week. With China’s ambitious goal of 5 million EV’s on the road by 2020, the government has relaxed some of it’s protectionism laws which may result in an influx of foreign investment from companies like Tesla now that certain technologies may be kept from the domestic manufacturing partners. BMW announced it will also be using NAIAS to debut their 5 Series sedan. Details were also announced regarding additional variants of the 5 Series. The M550i xDrive which will feature M Performance tuned turbo V8, all-wheel drive, 8-speed automatic transmission, and a specifically tuned chassis setup will fit those who want a bit more performance from their 5 Series. At the other end of the spectrum is the 530e iPerformance which blends the 2.0L 4-cyl with a plug-in hybrid system that enables up to 31 miles on electric only. BMW will also display their new addition for the American compact SUV market, the BMW Concept X2. It is expected to “combine the fast-moving body language and low-slung proportions of a coupe with the robust construction of an X model.” as stated by BMW’s Head of Design, Karim Habib. Expect a very dynamic shape. 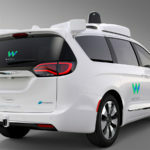 The 100 Chrysler Pacifica Hybrid units scheduled for deployment with Waymo (Google’s recently separated self-driving division) have all been produced and are being fitted with the latest sensors and computers. They are expected to be ready for the roads in early 2017. The next generation Chevrolet Traverse is touting best in class 3rd row legroom, will make its debut on January 9. A wireless charging company, WiTricity, has entered into a collaboration with GM, joining Toyota and others. 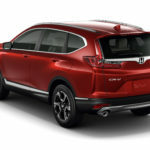 The Accord, Civic, CR-V, and Odyssey all captured the retail sales crowns in their respective markets. This comes as the next generation 2017 CR-V went on sale this week and expect to see the next generation Odyssey concept in Detroit (NAIAS) in January. Honda and Waymo (Alphabet’s self driving technology company) announced plans to collaborate to advance self-driving technology and how to best integrate it into the initial design of the vehicle. U.S. CEO, Dave Zuchowski, has been let go after 3 years and Jerry Flannery will fill in temporarily while retaining his existing role as Chief Legal and Safety Officer. Flannery has been with Hyundai since 1987. The news follows similar announcements concerning the South Korean and Chinese sales heads as Hyundai is grappling with a car-heavy sales base in a market that has seen steady growth with SUV’s. Acknowledging that people are holding on to their cars longer, Ford has revamped their Motorcraft parts division to increase their competitiveness in terms of cost and availability. The F-250 is in it’s 4th month since it’s launch and it’s retail sales are up 33% compared to last year’s November. About 71% of the sales thus far are made up of the 4×4, crew cab diesels and are dressed in Lariat, King Ranch, and Platinum Trim levels. For reference, a Lariat 4×4 diesel crew cab starts at about $59k. Lincoln brings out the big guns once again with its newest ad campaign for the Continental. Directed by Wally Pfister (Dark Knight, Inception) and featuring Matthew McConaughey, the emphasis is on high quality details and design. The Dept. of Justice (on behalf of the EPA and CARB) has reached an agreement regarding civil claims related to the 3.0L TDI V6 for its emissions cheat code. Depending on the model year, a buy-back or have their Audi, VW, or Porsche updated. About 83,000 vehicles are affected and the settlement, which does not resolve claims from other Federal agencies or any criminal lawsuits. Audi will display the Q8 large SUV concept at Naias.The level of luxury is expected to be on par with the A8. 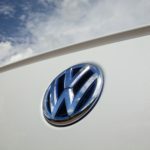 Also eager to demonstrate their environmental commitment, VW will display its two motor, all-wheel drive concept EV capable of over 300 miles of range.